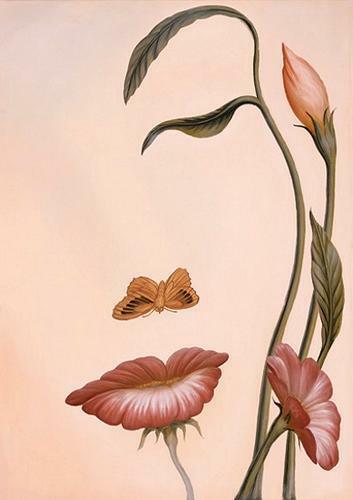 This is a very simple image of what appears to be some flowers, but the image also looks like the face of a young lady. When you look at the picture what is the first image you see? The flowers or the face? I saw the flower first but at the same time, it looked like a lip to me so then the face started showing.